Prof. Duraisamy is interested in the development of computational models, algorithms and uncertainty quantification approaches with application to fluid flows. This research includes fluid dynamic modeling at a fundamental level as well as in an integrated system-level setting. An overarching theme in his research involves the use of simulation and data-driven methods to answer scientific and engineering questions with an appreciation of the effect of modeling uncertainties on the predicted results. 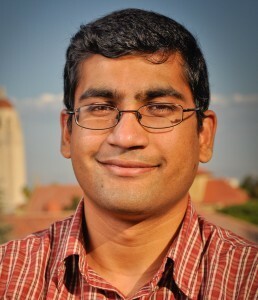 Prof. Duraisamy’s group is also interested in developing numerical algorithms to operate on evolving computational architectures such as GPUs. He is the Director of the Center for Data-Driven Computational Physics. 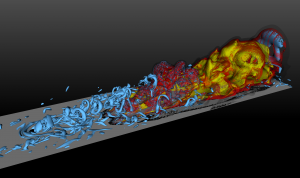 Combustion in a turbulent boundary layer.